I’ll tell you what I want, what I really, really want… It was a number of years ago I was sitting in the clinic of the wonderful and wise, Gerad Kite, Acupuncture Master, psychotherapist and author of the fabulous book, “Everything You Need You Have”. It was the first time I’d met him, and at the time I felt like my world was falling apart, when I (slightly daunted by his calm presence) quietly sat down, and started gabbling my life’s stories at him. Unmoved it would seem, he asked me very simply, in his gentle, kind, open and authentic way, “What do you want?”. But no, that was not my response; nowhere near. I simply said, “I want to be at peace.” And at that moment, I realised, that actually that was all I’d ever wanted. To detach myself from the ‘story’ (mine or others) of my life, from the fears of the future, to go deeper within, and to stop the turmoil, the hamster wheel, the daily ‘wanting’ and feeling like I’m never ‘having’ (and by this I don’t mean ‘material’). Gerad talks, and writes beautifully in his book about this, and what he calls ‘the workings and wisdom of the pendulum’ – something, which we will be sharing with you very soon! But for now I wanted to talk about this ‘thing’ I call ‘peace’; since the Happynesshub is a home for support, learnings, and offerings, and as much as we are about empowering you to be happier, as you know it goes far beyond this. Again, let me use my experience as an example. As many of you Happynesshubbers know from my latest writings I’ve been a bit poorly recently. Can I say I have been happy during this time? Sometimes. Sad? Often. OK? Always. And that is the difference. Gerad once said to be a long time ago, “Are you ‘OK’?” and I replied, “Of course I am ‘OK’!” And in very simple terms I knew things had shifted. Because, before, I was not ‘OK’; and when I was ill I was far from it. But now, whatever happened, I was ‘OK’. Now ‘OK’ might sound rather boring, and dull. But this is ‘OK’ in a very different way: below, beyond, our daily feelings, traumas, goings on. These days definitely helped me, and I feel that something did change within me, I cannot give a score from 1 to 10, because I feel happy, but now it is a different happiness, a happiness from within, with the assurance that ALL IS WELL! We will be sharing more of Gerad’s work and the pendulum in future offerings, but for now close your eyes, take a few deep breaths, and ask yourself, “Just tell me what I want, what I really, really want”. 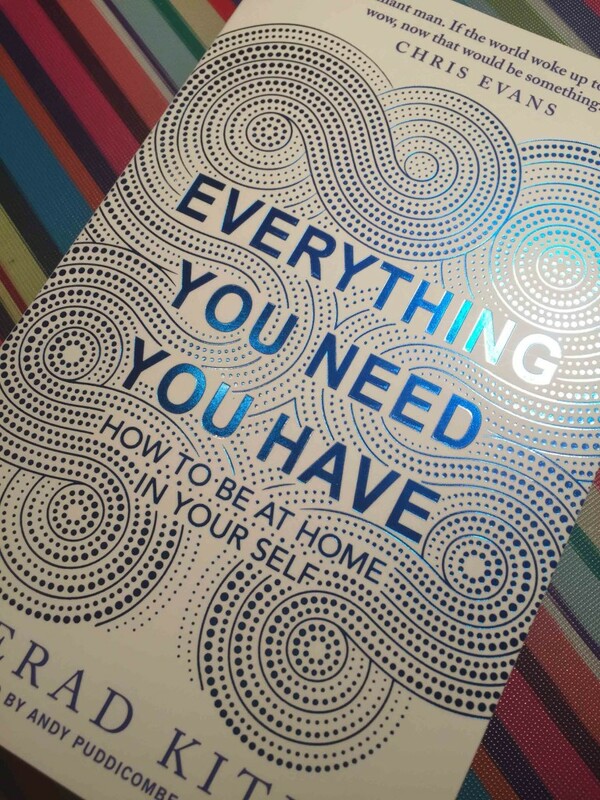 Gerad Kite’s book, “Everything You Need You Have” is available now if you’d like to find out more.